I keep thinking I ought get this blog thing going again. There. That’s it. I’ve gone and said it out loud, so I suppose I’ll have to do it now. I’ll do my best to come up with something vaguely interesting to post here shortly. In the meantime, for no good reason whatsoever, here’s a picture of some cows I took a little while ago. 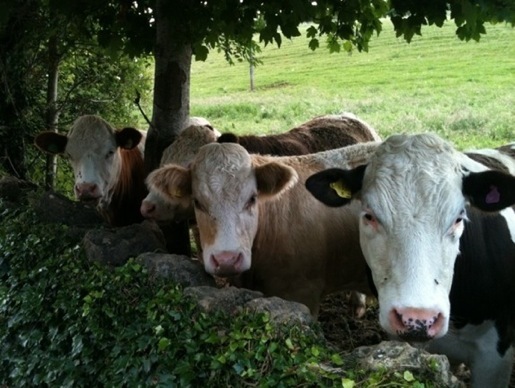 gosh – you’re back at last – about bloody time – dont think you can get away with just posting livestock pictures mind.